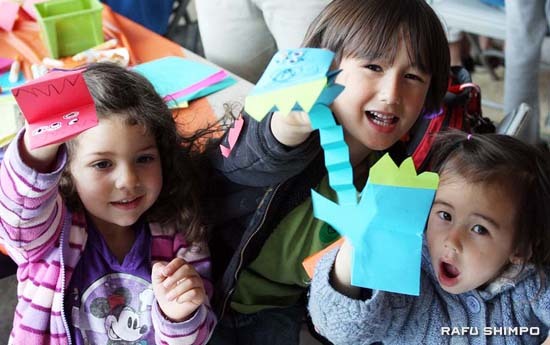 From left, Sepideh Asshar, Phoenix and Aylee Pizzo proudly demonstrate how well their monster feet work at the Target Free Family Saturday’s Monster Mash at the Japanese American National Museum on April 14. Constructing monster feet was one of many crafts for children. The children were treated to activities such as creating ferocious monsters, origami, face-painting and even some instruction in the kitchen. Target Free Family Saturdays is an ongoing partnership between JANM and Target. The next one will be held on May 12.